The mail came yesterday and along with some junk mail was a U.S. Postal Service 9x12" envelope. Inside was my Christmas present (my wife is amazing) from Borah Gear. Opening it carefully, I pulled out a custom Snowyside eVent bivy with a cuben fiber bottom. Obviously, I first weighed it. 329 grams with the stuff sack and mesh bug window. April 13, 2016: I've now used the Borah Gear Snowyside bivy three times, all in the desert outside Moab. While I experienced condensation the first night, on subsequent nights including one with showers, I slept comfortably. I used a car visor as a sleeping pad that first night as an experiment, a failed one. The pad wasn't thick enough for me and I also think that it contributed to the moisture. Switching to a Thermarest NeoAir, my normal pad, I was more comfortable and experienced no moisture. 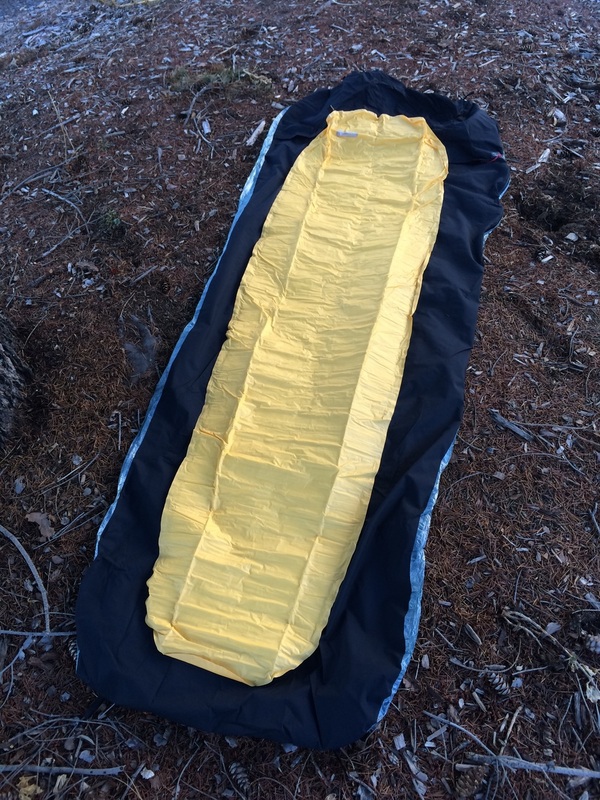 I was using my Enlightened Equipment sleeping quilt rated to 30-degrees. I slept in a layer of thin wool and wore a hat. Nighttime low temperatures were in the 40's. I am exceedingly happy with my purchase. The weight is fantastically low and it packs down very well. Recommended!